Outdoor banners with mountain ridges. 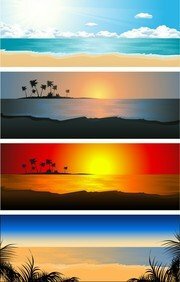 Horizontal nature backgrounds. Green Mountains with forest trees in fog. Contains hieroglyph - happiness.Traditional oriental ink painting sumi-e, u-sin, go-hua. 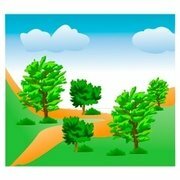 Road with markers, vector infographics template. 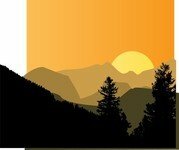 Abstract vector landscape background. Cyberspace grid. 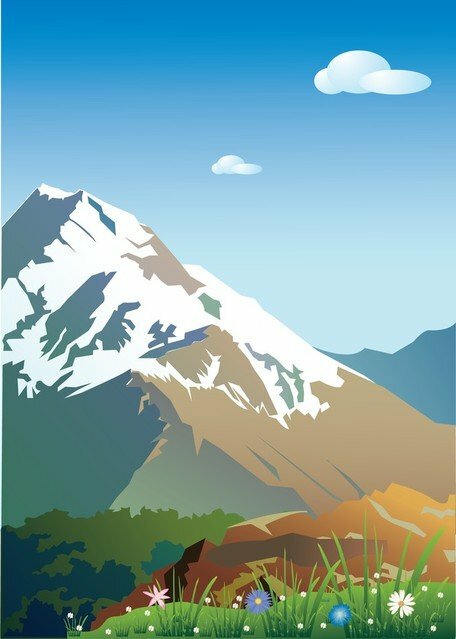 Vector line emblem with mountain landscape, forest, sea and clouds.